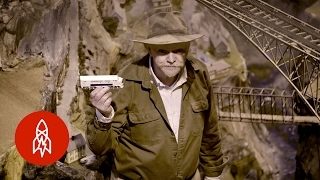 For the past 16 years, Bruce Zaccagnino has worked alone to build what is thought to be the world’s largest HO-scale model railroad set. Featuring more than nine miles of track, Zaccagnino’s masterpiece also boasts 400 bridges, 3,000 miniature buildings and 50,000 streets. Welcome to your childhood fantasy. Welcome to Northlandz.